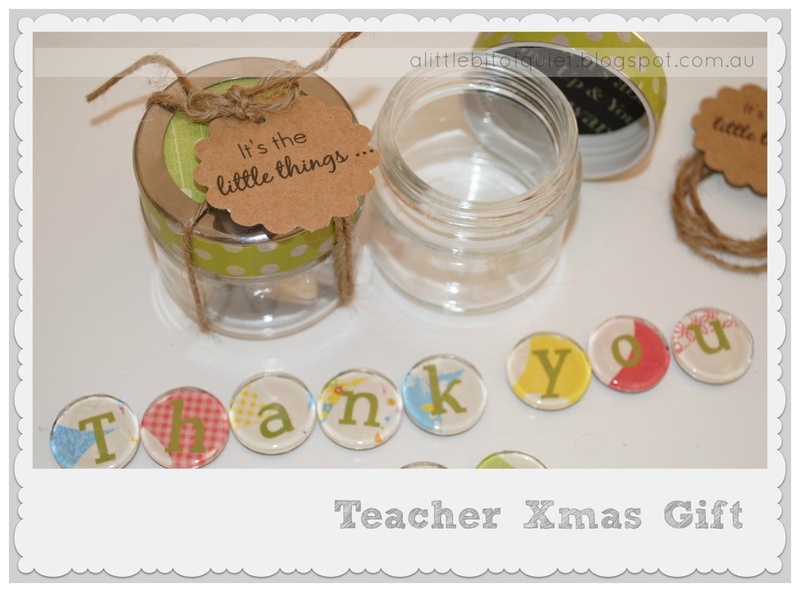 I struggled a bit this year with the "teacher appreciation" gifts - not the giving bit because I adore my son's teachers but the "doing" bit. The problem is, and it could possibly be called an addiction, there is actually way too much online inspiration and way too many wonderful ideas, that one (me) has a tendency to just gaze (and dream) for long lengths of time at all this inspiration and with each new amazing thing I see, my decision changes as to what it is I'm actually going to do. I then feel as if I'm going nutty with the indecisiveness of it all and my Martha brain just gets even more muddled! I don't actually know when, in all this fuzziness, I reached a decision but in the end I decided on little glass magnets and bought a super-easy (read no brain power involved) DIY magnet kit from "Stuck Together Magnets" on Etsy (my other addiction). 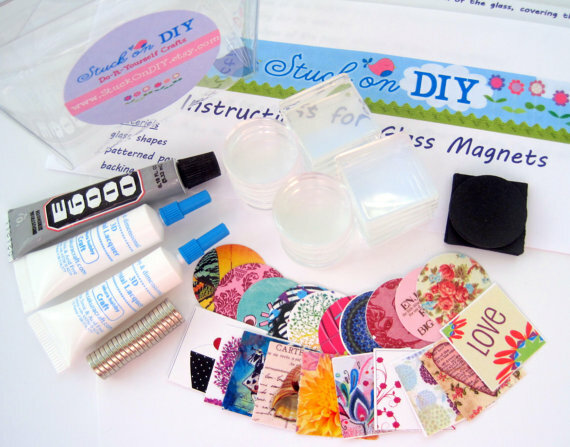 The kit comes with everything you need to create really cute, square and round, glass magnets. I decided to use my own cardstock for the backs of the magnets and cut the shapes to size using my Silhouette. The cardstock shapes included with the kit were perfectly fine but I wanted a theme & colours to suit my son's main teacher - something a bit zesty, fresh, quirky, colourful and a touch whimsical, which pretty much sums her up! To personalise the magnets and to add a bit of fun, I stuck a vinyl letter on the cardstock first before attaching it to the glass, spelling out "Thank you xo". They were very easy to put together and because all the supplies are included in the kit the project can be quick and effortless. I made it a bit lengthier by putting in my own cardstock and letters but it still wasn't at all difficult. I packaged the magnets in little glass spice jars from Spotlight, added some green cardstock to the underside of the lid and some washi tape to the outside. I printed the label on kraft cardstock and cut them out using my scalloped paper punch. The label reads, "It's the little things ... that make a big difference in our kid's lives. Thank you for making a big difference in Finn's". I then tied it all together with my trusty string. I love the crispness and simplicity of glass and I think magnets make such a practical gift ... afterall, everyone's fridge could do with a few more, don't you think? This is a great idea! I'm going to steal that link to buy some supplies thankyou! Thank you there are so many powerful way to share your thanks with your schoolteacher and none more so that a gourmet hamper delivery for Christmas!